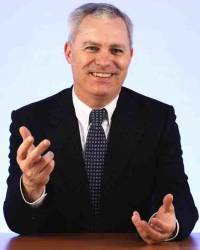 Inside GNSS editor and publisher Glen Gibbons has received a high honor from the United Kingdom’s Royal Institute of Navigation (RIN) for his "outstanding contribution to navigation" as a journalist and publisher. The 2015 Harold Spencer-Jones Gold Medal was presented to Gibbons by Prince Philip, Duke of Edinburgh and husband of Queen Elizabeth II, on July 15 at the Royal Geographical Society in London. The duke is the patron of the institute. It’s 10 p.m. somewhere over the vast oceans that comprise three-quarters of the Earth’s surface. Do you know where your airplane is? Well, you could, but maybe you don’t. The anniversary of the disappearance of Malaysia Airlines flight MH370 came and went in March with the fate of the Boeing 777 still unknown. The Federal Aviation Administration (FAA) has told those awaiting their slice of the GPS civil program budget that the funds are on the way. The money, which is supposed to support that portion of the GPS program springing from the needs of civilian users, has been held up for months. 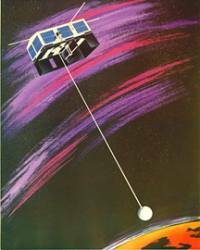 In fact, as of late August — with less than 40 days left to go in the fiscal year — the money had not been transferred to either the military’s GPS Directorate or the National Coordination Office (NCO) for Space-Based Positioning, Navigation, and Timing (PNT). The "After Longitude" symposium covers what happened in between Harrison’s clocks and geospatial PNT. 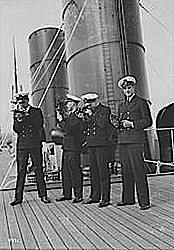 It is sponsored by the British National Maritime Museum and the Royal Institute of Navigation. The event takes place on March 22 and 23 at the National Maritime Museum in Greenwich. 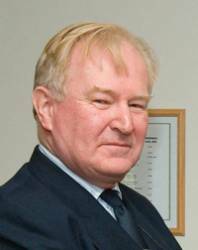 Peter Chapman-Andrews replaced David Broughton as director of Britain’s Royal Institute of Navigation in January. He will be the fourth director since RIN was founded in 1947. Chapman is a graduate of Britannia Royal Naval College, Dartmouth. He served as Queen’s Harbor Master, Portsmouth, and as fleet navigation officer on the staff of CinC fleet. He also served as aircraft director officer, principal warfare officer, navigation officer and ship’s commander during his career in the Royal Navy. He retired in 2004 with the rank of captain. I’m inaugurating my new blog, Director’s Cut, at the 2010 Munich Satellite Navigation Summit. One of the oldest names in the GNSS industry — Ashtech — is returning to the marketplace as both a corporate identity and branded product line. Magellan Professional announced January 7 that the France- and California-based company had renamed itself Ashtech, confirming the staying power of a precision technology brand that first appeared in 1987. 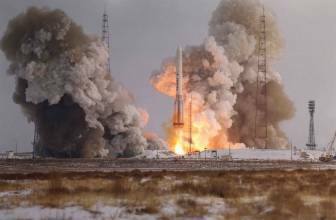 Russian Deputy Prime Minister Sergey Ivanov’s criticism of Roscosmos and GLONASS continues to ripple in news columns around the world. Widely reported in Russian media and picked up and amplified in derivative reports, Ivanov’s complaints focused on GLONASS’s relative inaccuracy, limited coverage, and lack of user equipment. However, aside from the fact that the person making the remarks was Ivanov — a powerful figure once thought to be in line to succeed Russia’s President Vladimir Putin, none of this is really news. Rather, it seems like another example of the phenomenon that, when people learn of something for the first time, they assume it has just happened. 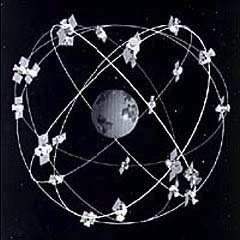 The GPS constellation, as illustrated 30 years ago. While awaiting the arrival of the definitive history of the Global Positioning System, students of the premier GNSS program might want to take a look at a systems engineering case study released last month by the Center for Systems Engineering at the Air Force Institute of Technology (AFIT), Wright-Patterson AFB, Ohio. Selective Availability (SA), the contentious issue of degrading the open GPS civil to advantage military signals, is going away for good under the terms of a presidential decision announced September 18.